A man who subjected a former partner to "horrendous" domestic violence has been ordered to inform police each time he starts a new relationship. 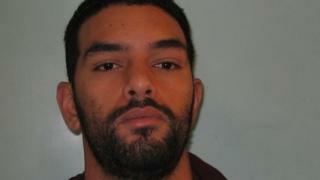 The order requires Kylle Godfrey, 30, of Neasden, north-west London, to tell police of any relationship lasting more than 14 days for the next seven years. He is serving a three-year sentence for attacking two ex-partners and intimidating a witness while on bail. The order is believed to be the first of its kind in England and Wales. As part of the order, police are able to inform any of Godfrey's future partners of his previous violence towards women, under the Domestic Violence Disclosure Scheme. Since the introduction of ASBOs - anti-social behaviour orders - in 1998 the use of court orders to stop disruptive, harmful and violent behaviour has been common practice in England and Wales. But it's highly unusual for the terms of an order to contain a requirement that offenders tell police about people they're having a relationship with - not least because it may be hard to enforce. There is a precedent however: the case of John O'Neill, from York, who is subject to a Sexual Risk Order requiring him to tell police if he's starting a sexual relationship with a new partner. Godfrey was jailed on 14 February after admitting to two counts of actual bodily harm, perverting the course of justice and witness intimidation. A court heard how over several days in October last year, he attacked his ex-partner, banging her head on the floor and grabbing her around the throat. Following his arrest, Godfrey continued to intimidate the woman and, while on bail, assaulted another woman he had started a new relationship with. Domestic abuse charity Women's Aid described the order as a "more robust safeguarding against domestic abuse". Its chief executive, Polly Neate, said it "demonstrates an understanding that a perpetrator of domestic abuse is likely to be abusive to many partners". Jane Topping, of the Met Police's Hackney Community Safety Unit said: "The order gives us a new way of protecting victims of domestic abuse and preventing other women from suffering at the hands of people like Godfrey. "The victim in Godfrey's case was subjected to a horrendous ordeal by him following a sustained campaign of domestic violence," she added. Failure to comply with Criminal Behaviour Orders can carry jail sentences.